Great Wolf Lodge is a rustic wedding venue in Cincinnati, Ohio. This locale is a perfect place to celebrate your country-style wedding, and features a Northwoods theme with wooden log siding. Guests will enjoy not only the beautiful location, but also the resort offerings of this space, including all the excitement of their 80,000 square foot indoor water park. 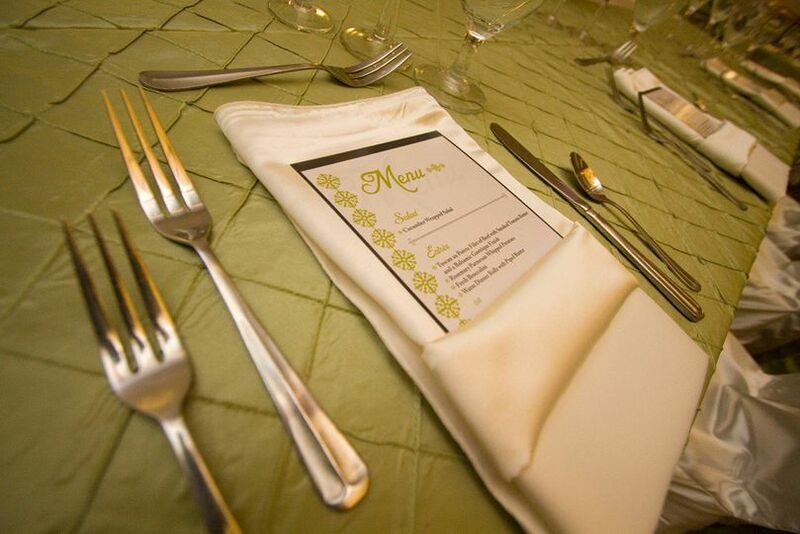 Their award-winning culinary team and customized wedding packages will create the perfect day you’ve dreamed about, whether it’s comfortable and casual or sophisticated and elegant. Great Wolf Lodge is the ideal space to create lasting and unforgettable memories. 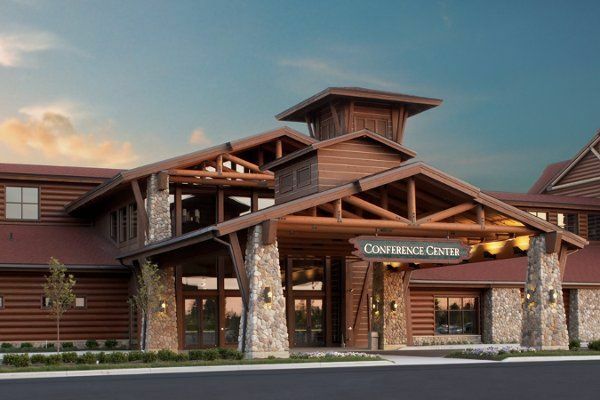 The conference center space at Great Wolf Lodge can easily be configured to accommodate groups of up to 600 guests in their 40,000 square feet of elegant ballroom space. Separate private rooms can be used to host bridal showers, engagement parties, rehearsal dinners, brunches, and gift openings. 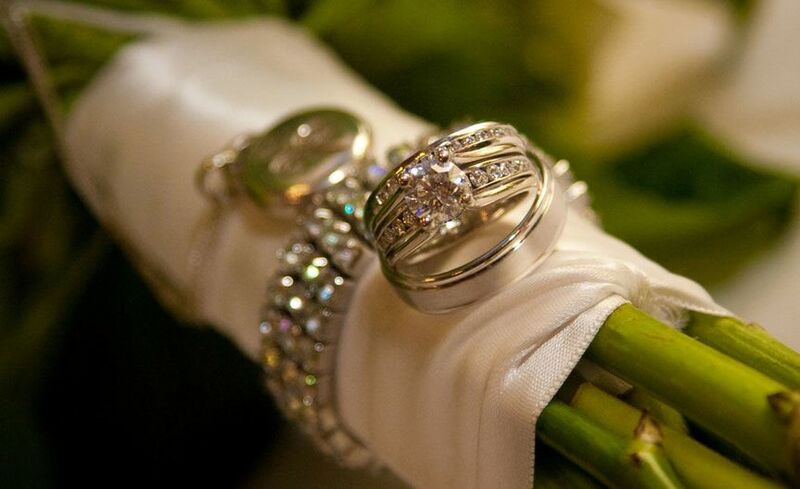 This venue offers many services to make your day truly special. 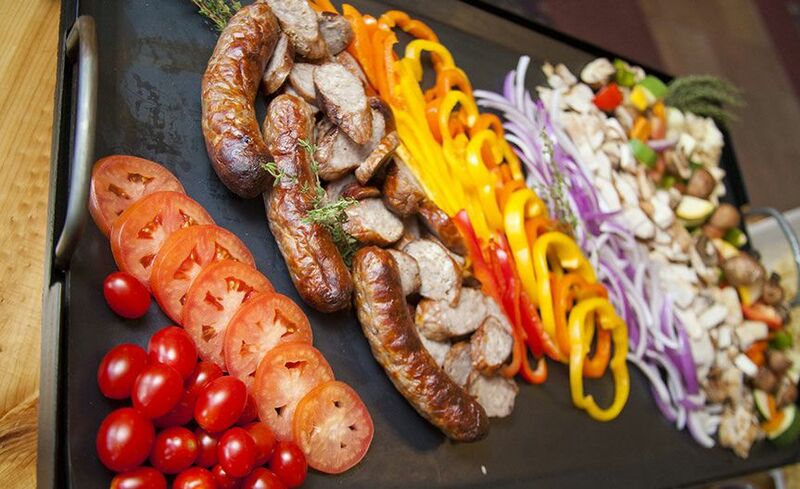 Couples will personally meet with Great Wolf Lodge’s Catering Manager to discuss their wide variety of catering options, and create a menu that your guests will rave about and that meets your budget. 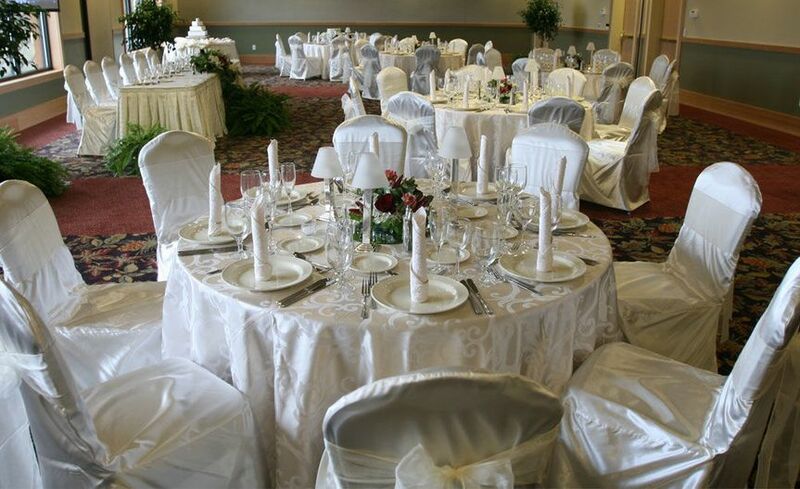 Their warm, personable staff will ensure you have a smooth time planning out all of your details, and will collaborate with you on decor, entertainment, technical support, and guest accommodations. 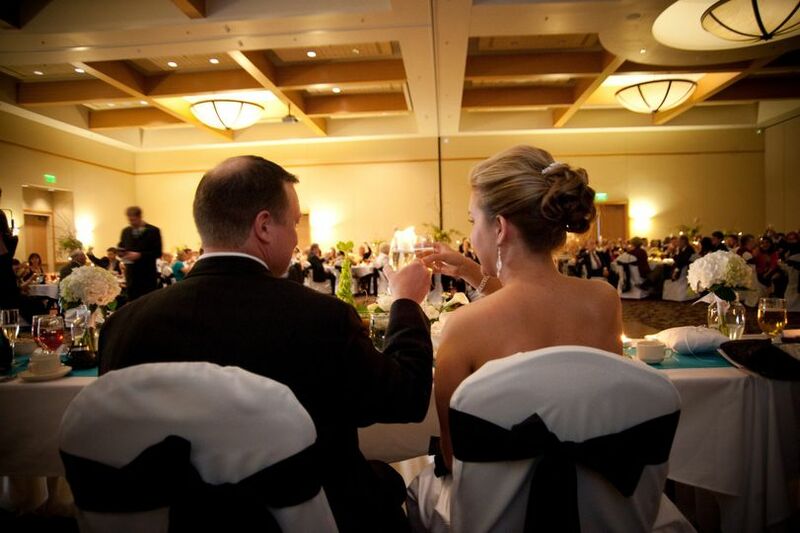 Great Wolf Lodge offers 401 spacious and well-appointed suites for guests to enjoy while participating in your wedding festivities. Their indoor waterpark is perfect for families looking to add excitement to their stay, while a full-service bar, restaurants, fitness center and on-site retail options can be enjoyed by all guests who choose to stay at the resort. For guests looking to pamper themselves before or after the festivities, Elements Spa Salon is the perfect retreat offering Aveda products. 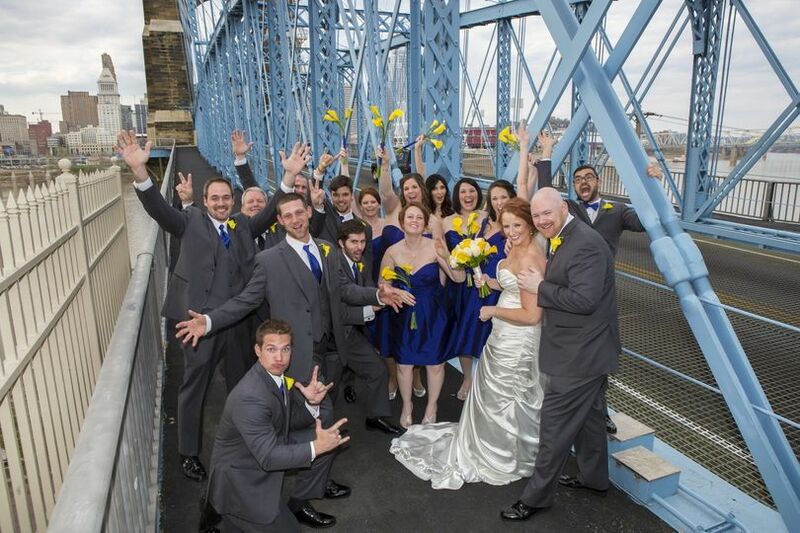 Discounted group rates are available for wedding blocks. I loved having my wedding at Great Wolf Lodge, the honeymoon sweet was amazing! One thing that I want EVERY bride to know before choosing Great Wolf Lodge is that they cut my entire cake. I spent over 1,000 dollars on my cake and they sliced EVERY piece of my cake. I only have 130 people at my wedding and the cakes could feed 500 so you can imagine how much cake was left that just got thrown away! I only got one piece of the cake and was VERY unhappy about that! But other than that it was amazing and everyone was great! Great Wolf was the perfect location for my wedding & reception. Their space is wonderful and their service was fabulous. 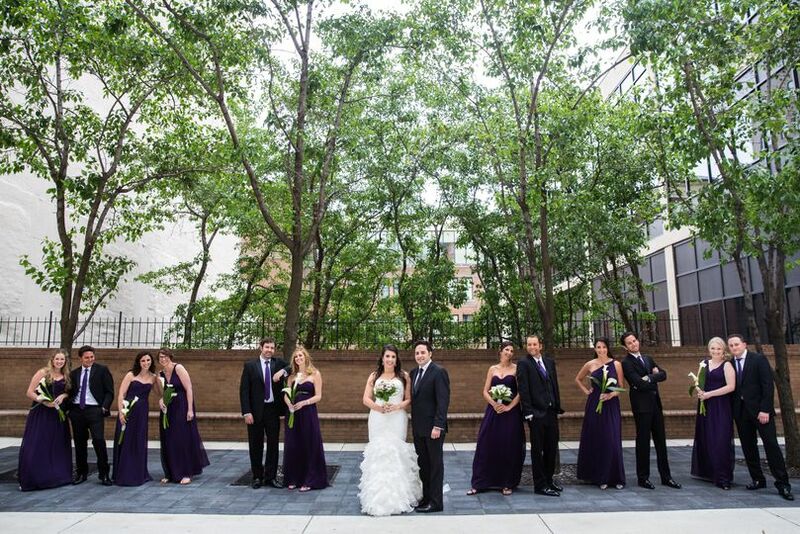 I had my ceremony on their outdoor patio and my reception in their large ballroom. The food was UNBELIEVEABLE....it was the best banquet facility meal I have had in a long time. They also worked within my very strict budget....with little negotiation. 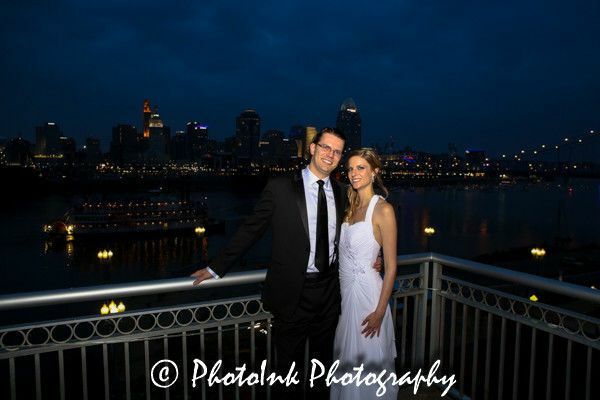 If you havent already, you have to consider this location for your wedding & reception. 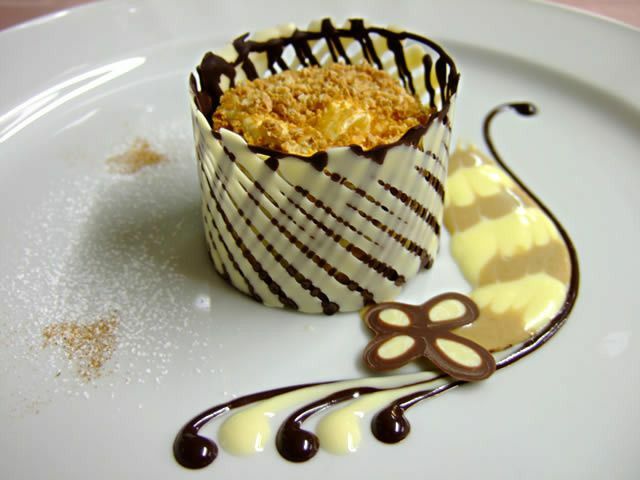 Who wouldn&apos;t love to have this for their guests! 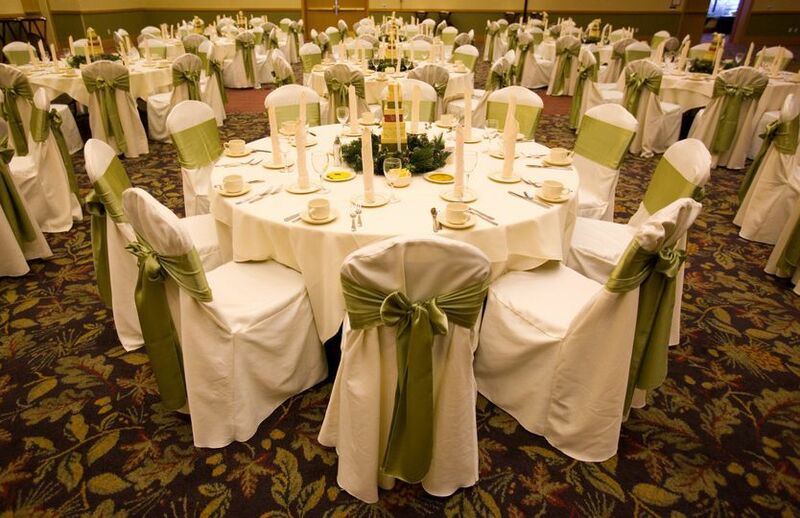 GREAT WOLF IS A WONDERFULLY UNIQUE VENUE FOR YOUR UNIQUE WEDDING. THE STAFF GOES OUT OF THEIR WAY TO GREET YOU AND CREATE THE ATMOSPHERE THAT ALL WILL BE TAKEN CARE OF. THEY ACHIEVE THAT. Beautiful unique facility, excellent service.